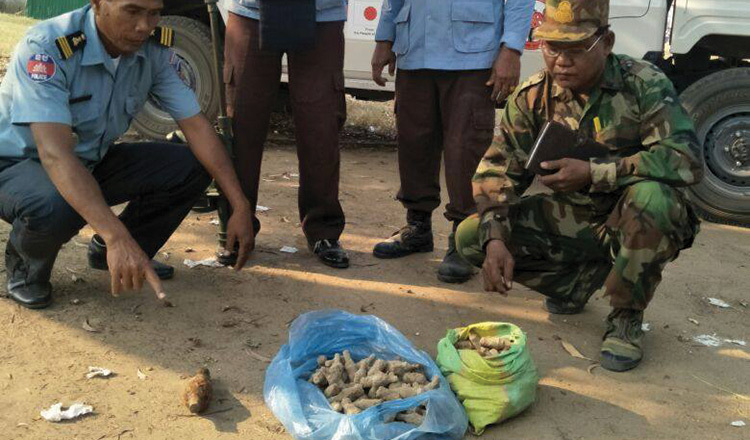 Pursat provincial authorities and the Cambodian Mine Action Centre yesterday discovered 160 more unexploded bombs at Kngan Secondary School in Kandieng district. 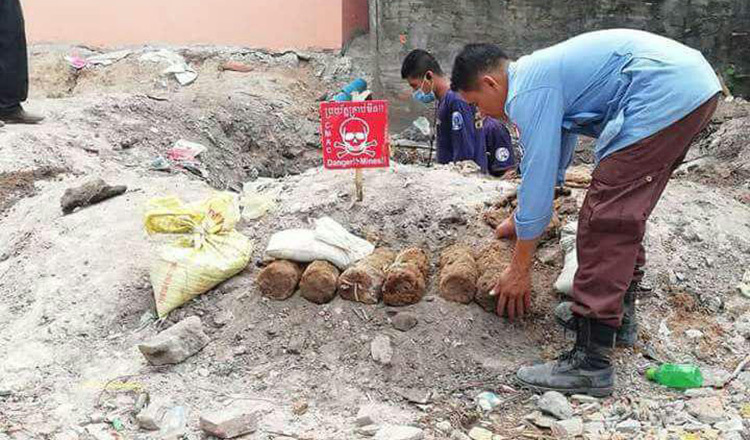 But An, chief of weapons management, traffic, roads and fires with the Kandieng district police, said his officers have been working alongside CMAC officials to continue probing the school grounds for unexploded bombs since 141 bomb were found there last month. 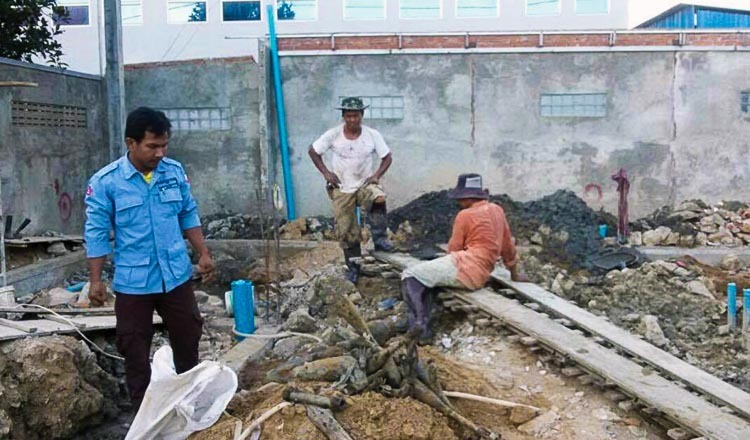 Mr An said that 159 60-millimetre unexploded rocket heads and a 60-millimetre rocket were found yesterday on the school grounds and have now been removed by CMAC officials. 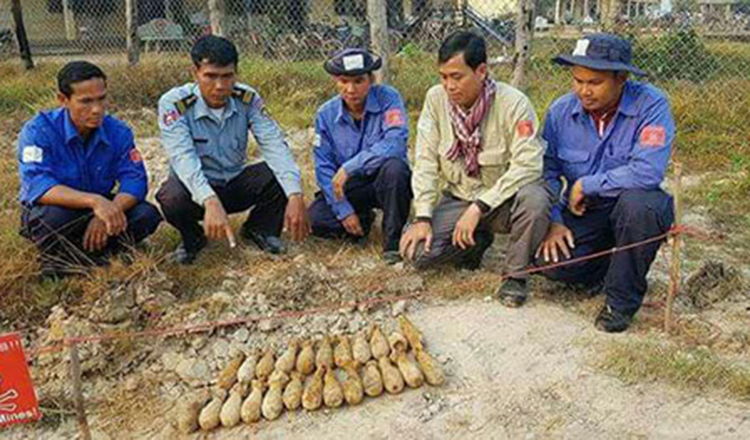 Last month, authorities and the Halo Trust demining organisation found and destroyed 141 160-millimetre unexploded rockets that were found by villagers and students at the school. According to Mr An, the school was an old military barracks in the past and that is why so many bombs have been discovered on its grounds. 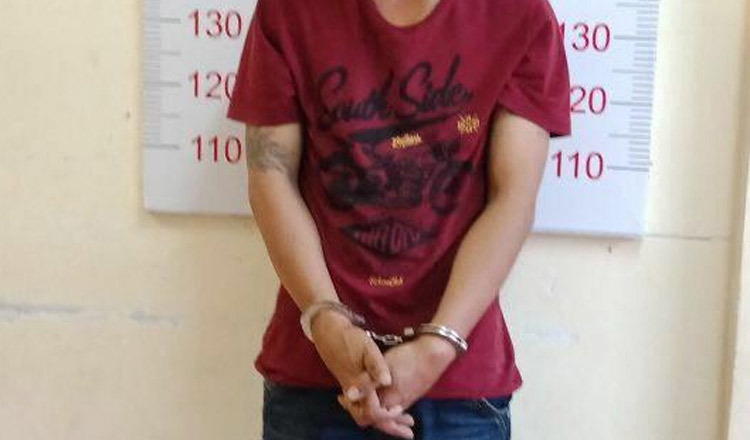 Since 1979, a total of 64,720 casualties have been recorded by the Cambodia Mine/ERW Victim Information System. According to a report released in January, there were 39 accidents in 2017, a decrease of 46 percent if compared with the 72 cases in 2016. The report added that of the 39 incidents, 20 cases were mine explosions and 19 were explosive remnants of war.